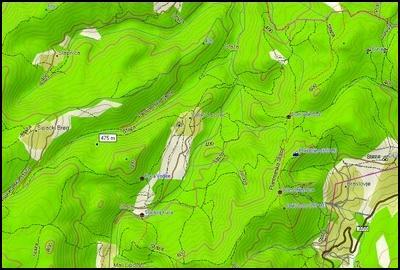 Map: Topographic map of Croatia, shows elevation contours and natural features. 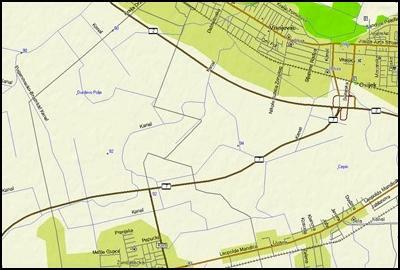 The map is divided into a number of areas which can be transferred to any GPS device which is capable to display maps according to the available memory. In order to transfer the map, it must be unlocked for that particular unit. Disk space: 500 MB for a full installation. 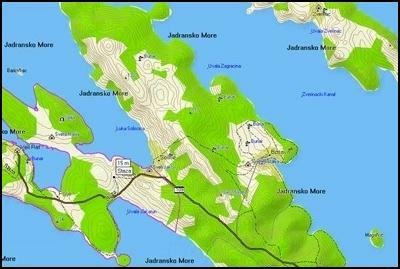 Significant increase of the level of details: If there is a built-in map, then the map of Croatia will overlay the built-in map. 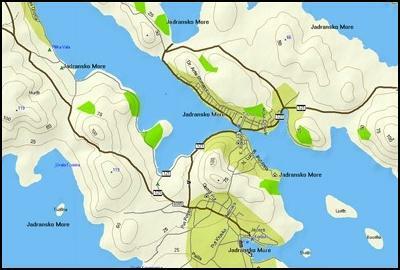 Outside Croatia, the built-in map is still available. Most GPS devices support enabling and disabling maps, so you can easily switch between different maps. If your GPS device supports profiles, then you can bind different maps to different profiles. Extended search functions: Find cities and points of interest. Updates: Navigo Sistem provides free updates for this product, see www.navigo-sistem.hr. 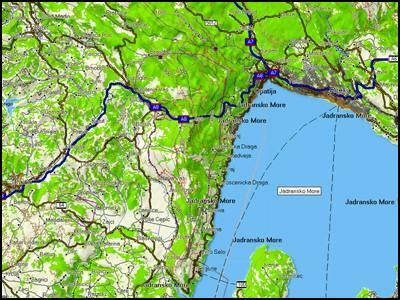 The images below show areas of the topographic map of Croatia.